Garlic - herb gardens wouldn't be complete without some garlic in them. It's a major ingredient in many recipes and has enormous health benefits. You can grow it outdoors in the garden or in pots and indoors in pots if you want to. Of course, it also keeps vampires away - so quite important in October. 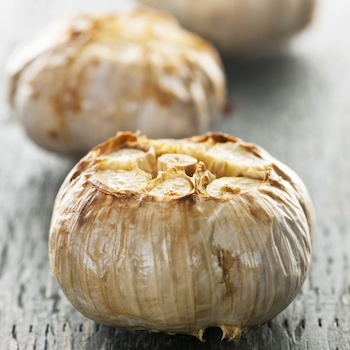 Roasted garlic gives a much milder result than other methods of cooking. It becomes very mellow and has a nutty flavour to it. A much nicer alternative than the garlic puree which you can buy. Perfect to add to mashed potato for Garlic Mash - spread on toasted crusty bread for a quick garlic bread. Squeeze it into salad dressings, smooth it over chicken before cooking. The uses are endless. So easy to do - slice the top off, drizzle some olive oil over, wrap in foil and bake in a moderate oven for around 30 minutes. Leave the skin on to keep the individual cloves soft - it acts like baking parchment. Do you know why they're really doomed from the moment they leave their growing houses? 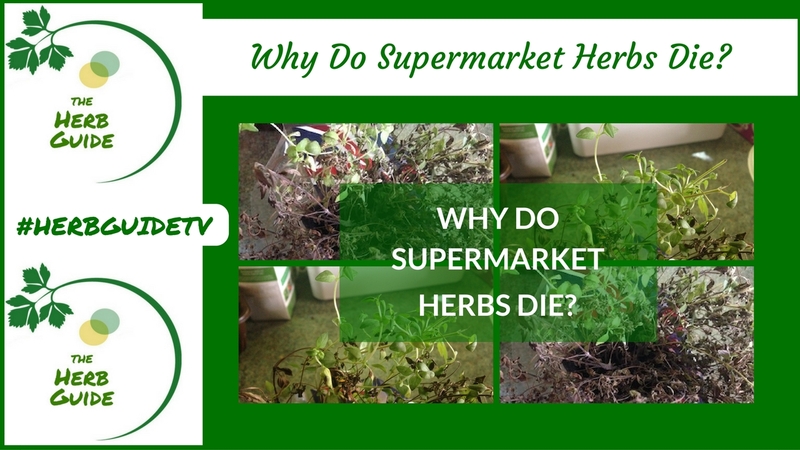 This short video 'Why Supermarket Herbs Die' will tell you. There's not a lot you can do apart from remove them from their pots and give them fresh soil, separate all the seedlings (because that's what they are really) and keep your fingers crossed that you can give them the TLC they need. It's not just vampires, but bugs that garlic will keep away. 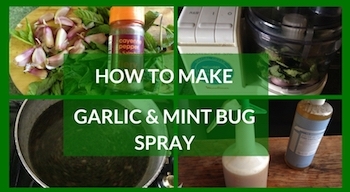 This Garlic and Mint Bug Spray is so effective and very easy to make. It works indoors or out and is safe on herbs, fruit and vegetables. A quick video shows you the steps - there are written instructions and captions. Garlic Shrimps - one of my favourite meals. 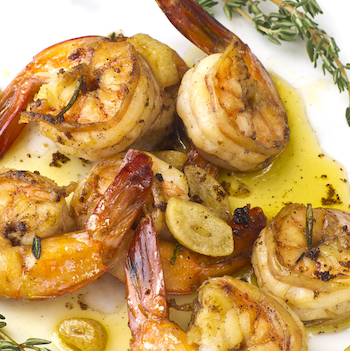 Gorgeous, buttery shrimps. Perfect for an appetiser or lunch. Serve with lots of crusty bread to mop up the butter. Finger bowls for the last bits that you can't lick off your fingers! What garlic issue would be complete without Garlic Bread - simple step by step tutorial with photos shows you how to make garlic bread. 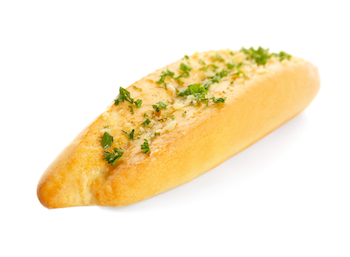 You can make garlic bread for one or two people without all this fuss. Just make some garlic butter (recipe below) and then toast your bread - spread with some butter and toast lightly again to let the butter sink in. It's almost as good but saves you having to put the oven on. 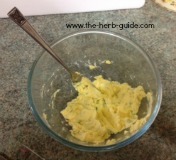 Easy to make and so versatile - Garlic Butter. Simple step by step photo tutorial showing you how. You can make garlic butter to use up any leftover fresh garlic or you can use garlic salt or dried minced garlic.